Mani Monday: Fun Gel Mani's to Try! Pretty in Pink with glitter tips. Hand model Heather Braverman. Here's some inspiration if you are looking for something fresh and fun to do for your next gel mani! Flowers a la Marc Jacobs! Hand model Rachel Meyers. 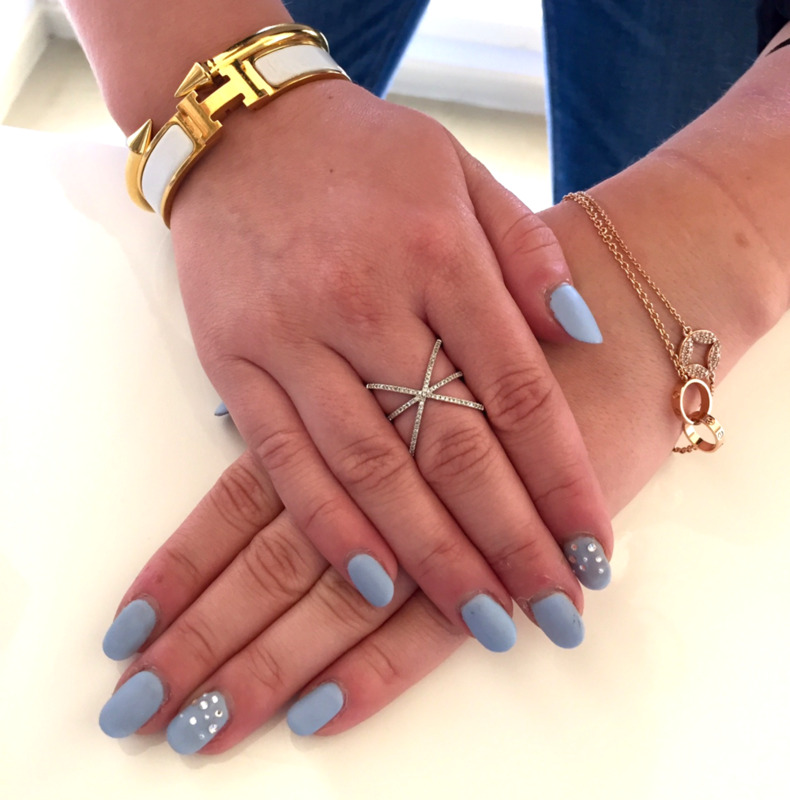 Matte baby blue with stone accent nails. Hand model Rachel Meyers. Natural nail with stones, gold and glitter. Hand model Rachel Meyers.